4 years ago, Tattoo Savage Magazine did an issue that featured both SuperJoint Ritual (starring Phil Anselmo of Pantera, Down, etc. and Hank Williams III, and Kevin Bond) and Brandon Bond (two time "Tattoo Artist of the Year and owner of the ALL OR NOTHING empire) in two separate articles of the same issue. Kevin Bond and Brandon Bond began corresponding via the Internet at that point and quickly became friends, discovering that they are distantly related artists. Both of these artists have created HUGE names for themselves in their respective industries, and are extremely interested in music, partying, touring, big piles of money, and tattoos. It must be hereditary, and so must be the "success" gene they inherited. Kevin Bond has his own line of custom Jackson guitars, "The Kevin Bond Signature Series" can be viewed at http://www.jacksonguitars.com/products/search.php?partno=2900500599 His guitar playing is incredible, his stage presence powerful, and his resume is flawless. The do not just give every musician a signature guitar right? Kevin Bond has played in front of millions of screaming fans and toured with the most serious metal the world has to offer. Brandon Bond is an acclaimed and widely sought after Tattoo Artist who owns several tattoo related businesses, including a publishing company, a movie production firm, two tattoo studios, and a distribution and online retail merchandise company. He is generally regarded as "the hardest working man in Tattooing" to the point of delirium and unbelievable levels of success. 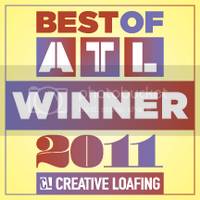 All Or Nothing Tattoo and Body Piercing Studio, located in Atlanta, GA has quickly grown into the worlds most sought after and award winning studios. The staff has been imported from all over the country to provide a level of tattooing that is absolutely mind boggling. Brandon also owns, the opulent and completely private A.N.T.I. 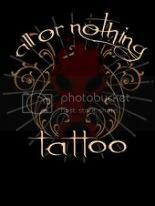 (all or nothing tattoo inc.) ART ELITE studios which is setting the standard for luxury in tattooing. Hosting multiple ponds, waterfalls, water gardens, etched glass, limo shuttle service, 2 movie theaters, hand laid Brazilian flooring and a sound system that "goes to eleven". Bond is booked to tattoo a variety of big names in the film and music industry in the coming months. Kevin Bond says of ANTI ART ELITE, "It is incredible, no people, no rules, and the nicest place you get ever want to get the best tattoos in the world. I watched movies, relaxed, and sat all day and all night, eating wonderful catered food, and celebrating in a "variety" of ways. I was driven around, and taken care of far above and beyond the call of duty". The two have spent time drinking, playing guitar together, and now officially tattooing, beginning a long and arduous amount of amazing tattoo work. Many people don't even know that Brandon Bond was a professional musician for many years, even bleeding over into the beginning of his tattoo career, and has recently returned to the music industry. Eulogy Recordings is about to release TWO separate "Original Motion Picture Soundtracks" for TWO separate films released by Brandon's subsidiary companies. The sky is the limit for these guys. Recently Kevin has joined an amazing Atlanta based band called Artimus Piledriver., and apparently enjoyed the studio time with Brandon so much he is moving to Atlanta. He will be appearing at the All or Nothing Anniversary party June 16th 2007, where Brandon Tells us he expects over 1000 tattoo enthusiasts to attend. "Our clients are our family, our artists, and all the people that come together to make these machines move foreword. Its our Way of giving something back to those who have made us so successful." They will be giving away free movies, food, piercings, tattoos, snow cones, cotton candy, limo service, artworks, and "anything else not nailed the f*ck down" Brandon says. For more information on Brandon's many art, print, film, and other projects, please start your tour of his web empire at www.allornothingtattoo.com and from there you will find over 30 websites overflowing with artworks.